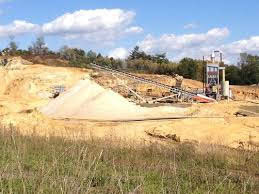 Select Sands Corp. says that John Kime will be joining the Company's board of directors as an independent director and has been appointed as audit committee chairman. In order to allow room for John Kime to join as a new director, Steven Goldman has resigned as a director with the view to rejoining as a director at the Company's annual general meeting in late January, 2016. Mr Goldman will continue to act as general counsel to the Company. Mr. Kime is the President and CEO of iBD Advisors Inc., a privately-owned Canadian company providing guidance to Canadian and international companies on site location needs and business considerations connected with their plans to locate and expand in North America. Prior to assuming his responsibilities at iBD Advisors, Mr. Kime was the President and CEO of the London Economic Development Corporation, a public/private partnership with responsibility for providing economic development services to the city of London, Ontario, Canada.